Bungee cord perfect for exercising strength, balance, mobility, speed, suppleness, endurance etc. 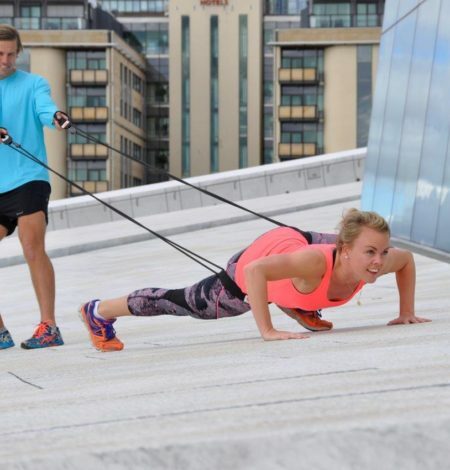 ROPES Bungee Duo is designed for training in pairs and groups. 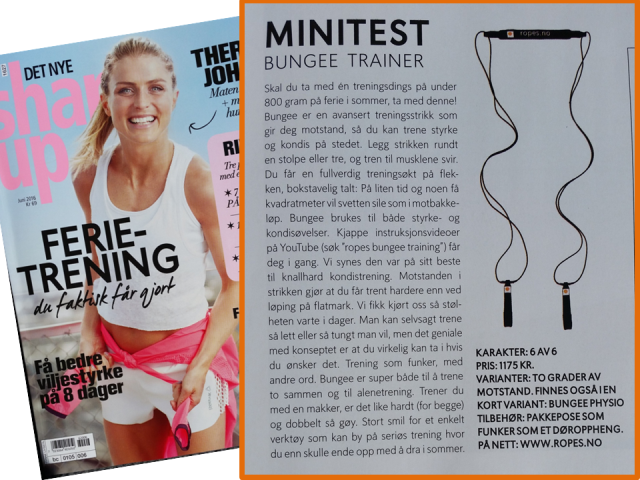 Bungee-Training is a simple, functional and fun training concept. 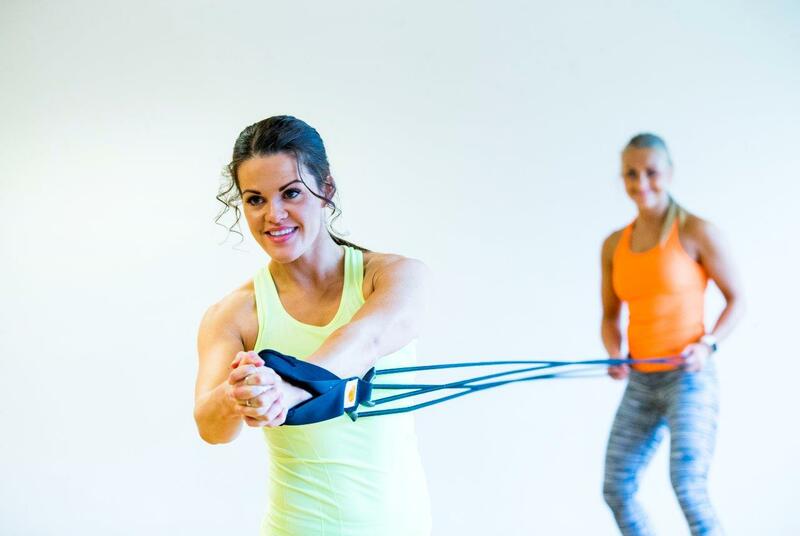 The Bungee DuoTrainer Pro gives you a complete workout that challenges endurance, speed and strength – your entire body will be challenged! 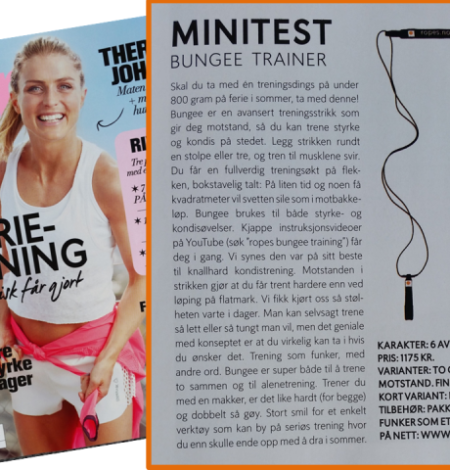 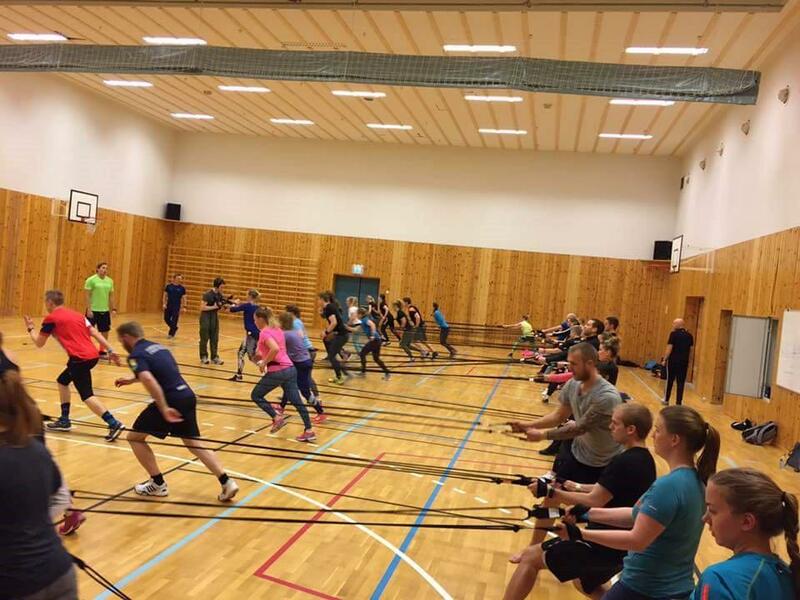 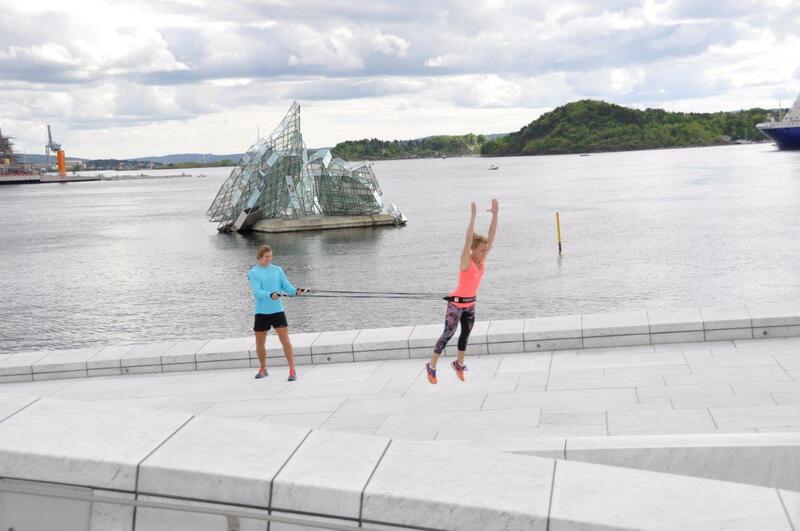 Bungee-Training can be used in group training, team sports, in personal training or in therapy. 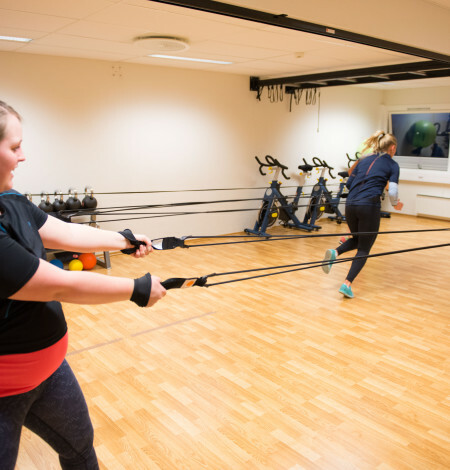 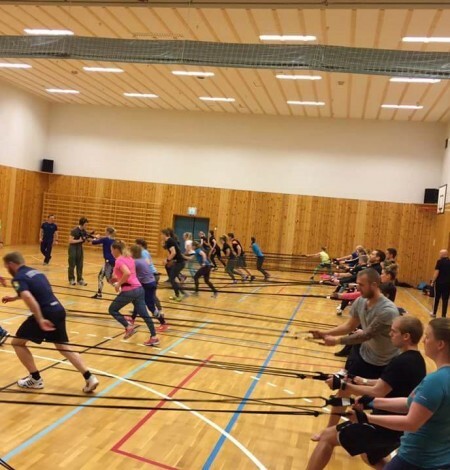 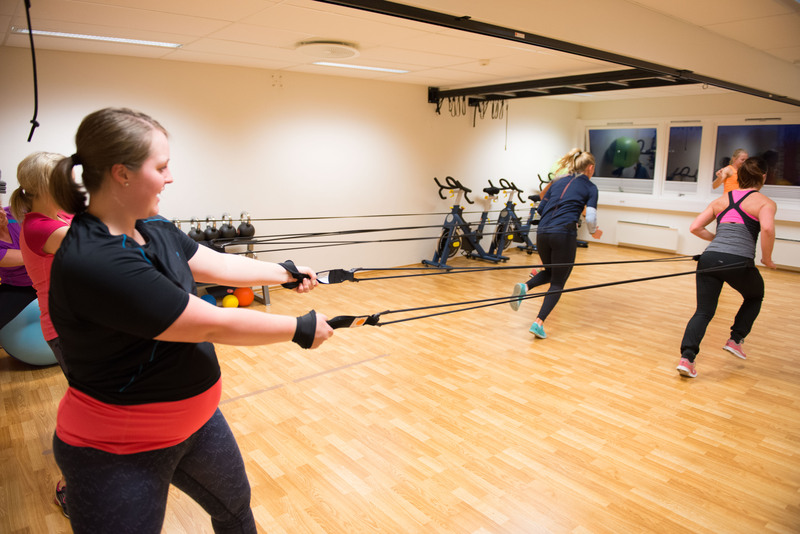 Your partner, instructor or coach, motivates you to keep up the intensity of your exercise, while keeping control and helping you workout with good technique and quality in the exercises. 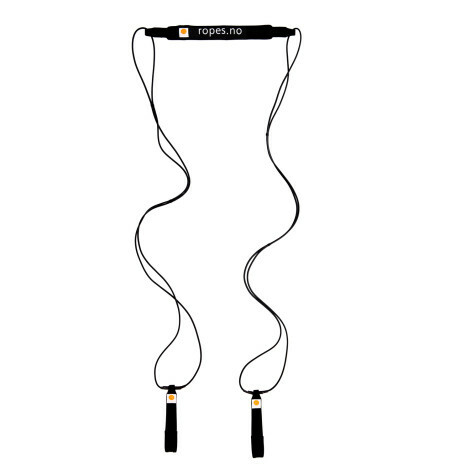 R.O.P.E.S Bungee-Training has become known in many schools and gyms as a fun and very motivating training session. 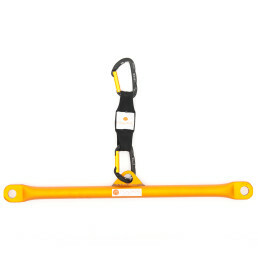 Bungee-Training can also be done individually by attaching the cord to a door, a hook, a post, a tree etc. 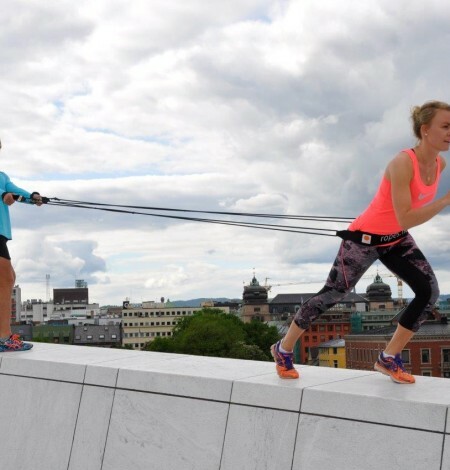 A huge advantage is that you can workout anywhere, inside, outdoors, on vacation, in the gym, at the office etc. 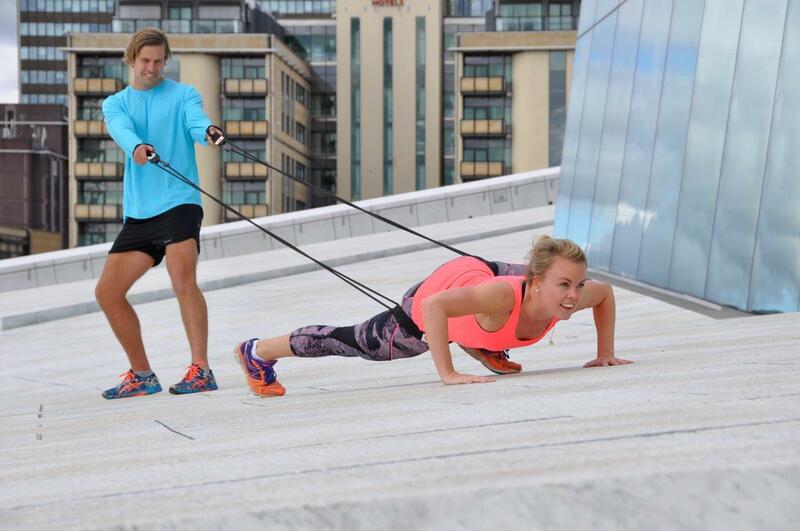 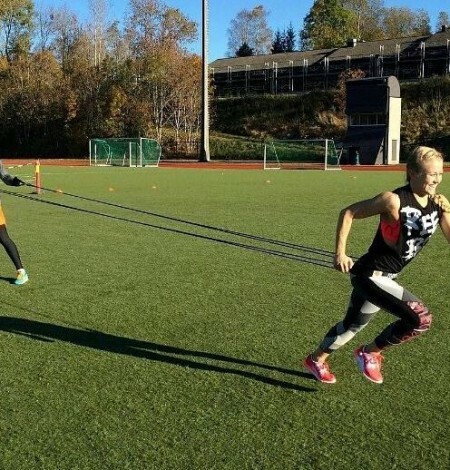 To top it off you can invite a friend to do the workout session with you – giving you the ultimate interval training session as well as being social and backing each other to go the extra mile! 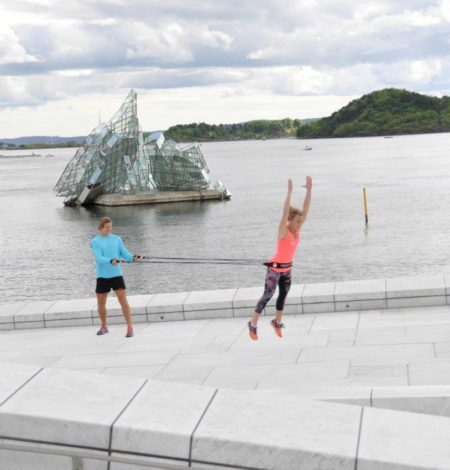 In Bungee-Training we apply several different training principles in a combined and new way. 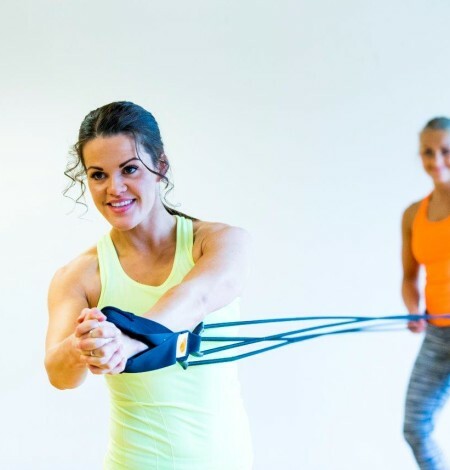 You will do a lot of eccentric movements (hold back / slow motion), which is both less harmful and unique in a strength exercise like this. 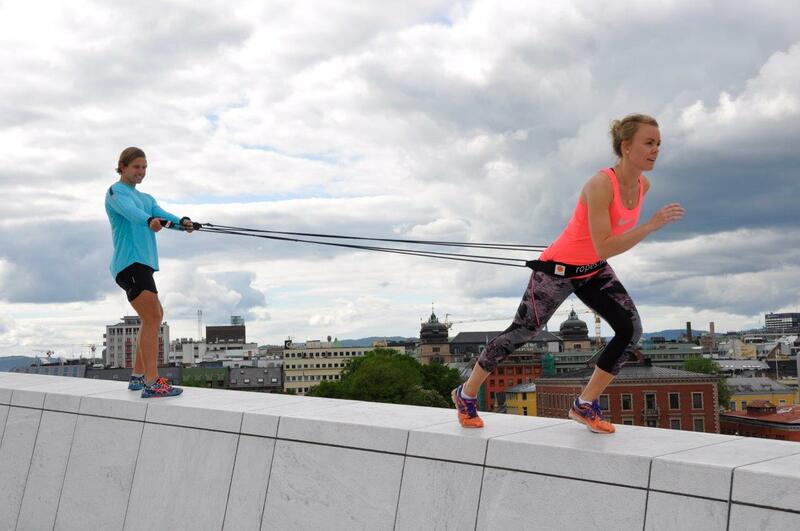 In addition you can achieve a very high pulse level by “start/stop” running pushing agains the elastic Bungee cords. 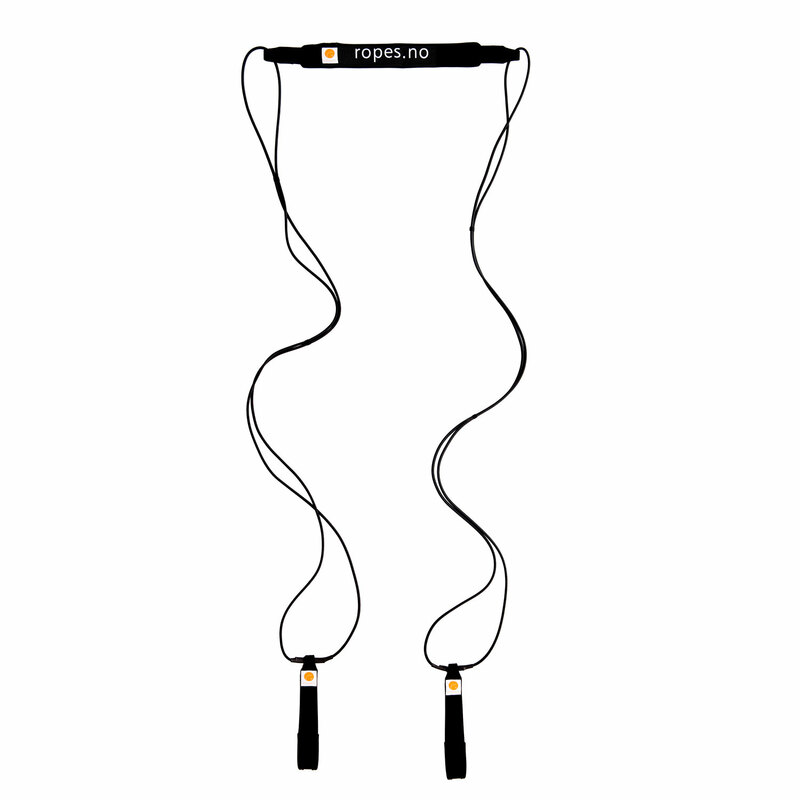 R.O.P.E.S Bungee Trainer comes with two levels of resistance: The medium cord has great resistance and is best suited for adults. 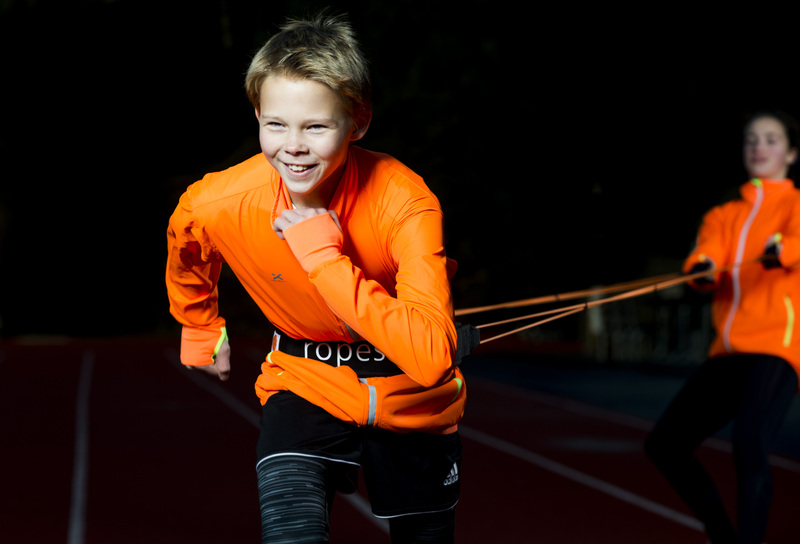 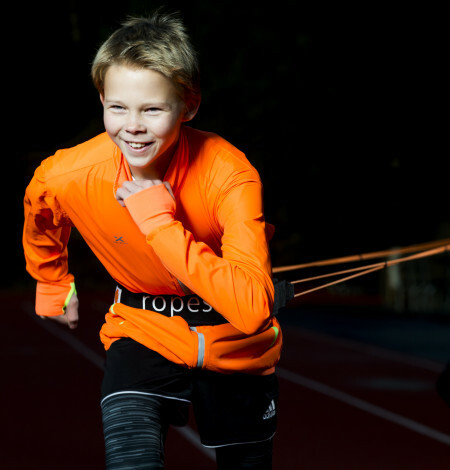 The light cord has less resistance and is best suited for children, the elderly and those who want less resistance for use in rehabilitation. 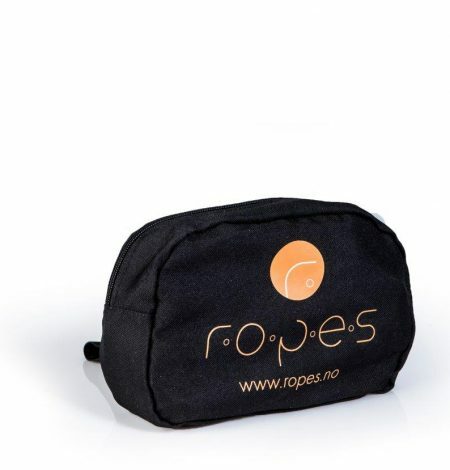 The product is delivered in the R.O.P.E.S DoorBag. 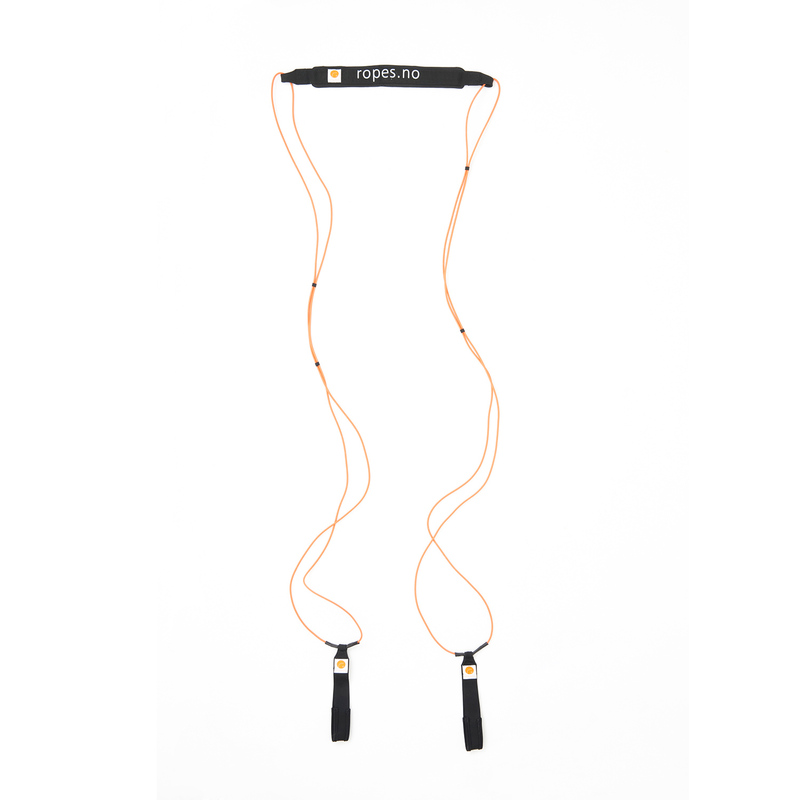 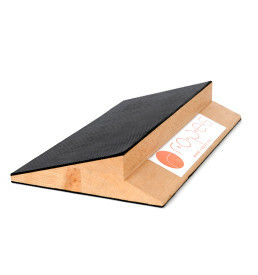 This is a strong nylon bag that is to be used as a door anchor, making it easy to do your workouts anywhere. 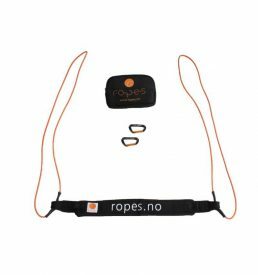 Attach the Bungee cord to the webbings of the DoorBag, place it over the door (between the door frame and the door), close the door and you are ready to start your workout! 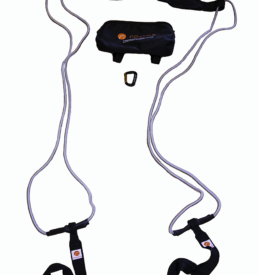 The DoorBag also makes it easy to unpack, store and carry the Bungee Duo Trainer Pro on your travels, to the office, the fitness center etc. 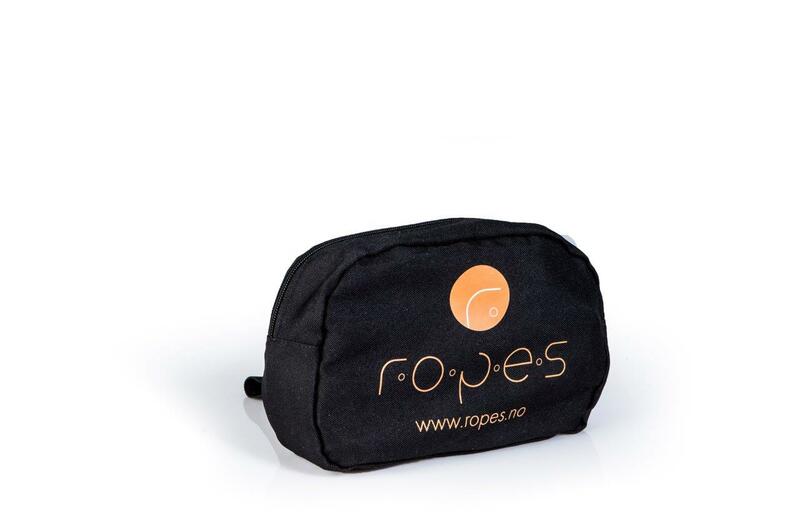 The set consists of the R.O.P.E.S Bungee Duo Trainer Pro (220 cm) with handles and DoorBag for storage.